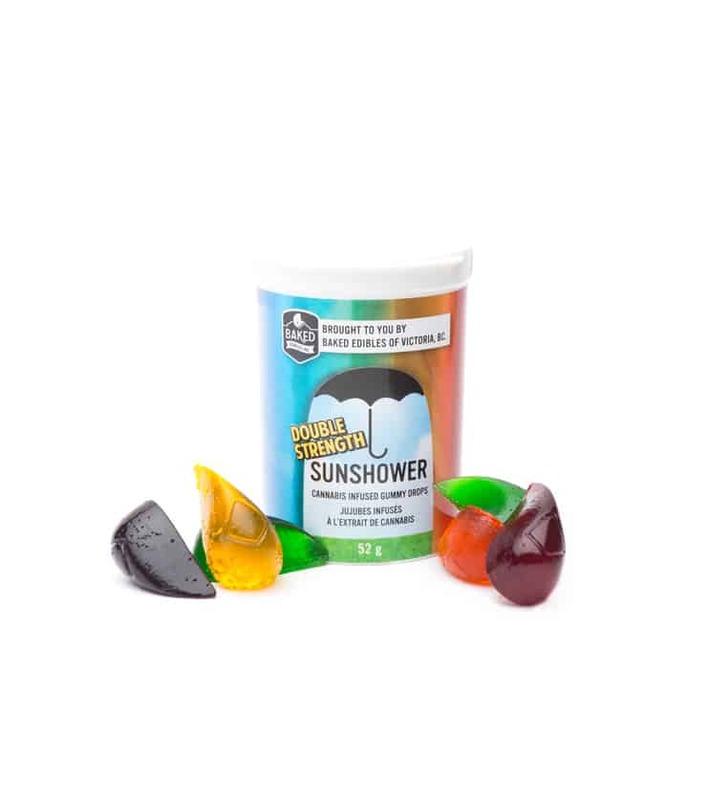 Baked Edibles – Double Strength SunShower Gummies are a fan favourite for good reason! My favourite gummy edible. I get pretty high from 1 but don’t exactly have a high tolerence haha. Love how these taste and have a hard time not eating more. Packaging is great too. Will for sure purchase again.